The finished piece got the turtles’ approval (bottom right). REDL’s mind-bending urban art in Zurich, 2016. One of the cornerstones of graffiti: lettering. In Belgium. 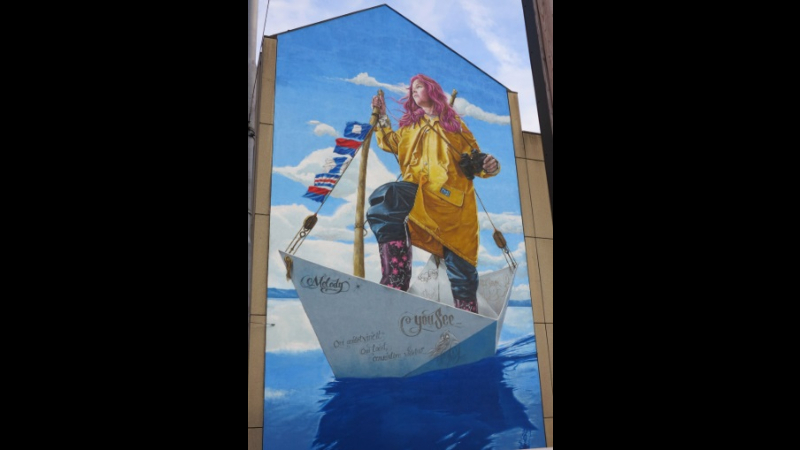 24 x 12 metre mural of REDL’s daughter in Zurich, 2017. 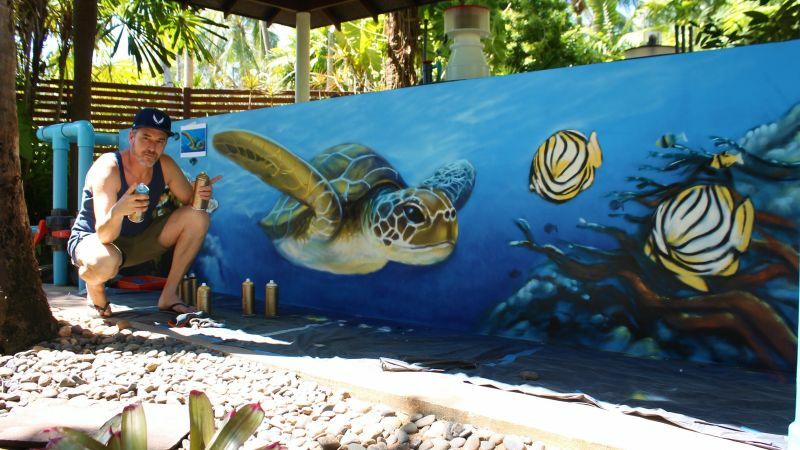 To protect and raise awareness of en­dangered sea turtle species and conserve their marine ecosystems, JW Marriott Phuket opened the Mai Khao Marine Turtle Foundation (MKMTF) on-site almost 17 years ago. Just last week, the foundation wel­comed Ricky, a hawksbill turtle with a damaged shell, and Ya-whan, an olive ridley turtle with a missing flipper. Both were found stranded in the sand, tangled in fishing nets. They join long-standing residents Tommy, who was born blind, and Kaew, whose internal GPS isn’t quite working as it should. Ricky and Ya-whan will be released back into the ocean during an annual cer­emony later this year; other turtles are unable to be rehabilitated and will be taken care of at the facility permanently. Ricky and Ya-whan’s arrival was a colourful affair as it coincided with a visit from Patrick Redl Wehrli – known as REDL – a Zurich-based graphic designer, illustrator and graffiti artist who flew to the resort to spray a marine mural for the foundation. The world-renowned artist has been active since the rise of hip hop and graf­fiti culture in Europe in the 1980s. REDL would find himself forgetting to eat for days on these trips, fuelled solely by the adrenaline of the cross-con­tinent chase. Creative horizons expand­ed, he would return to Switzerland each time with new skill sets in tow. He even­tually became one of the main exponents of this new form of creative expression in Switzerland in the ’90s. 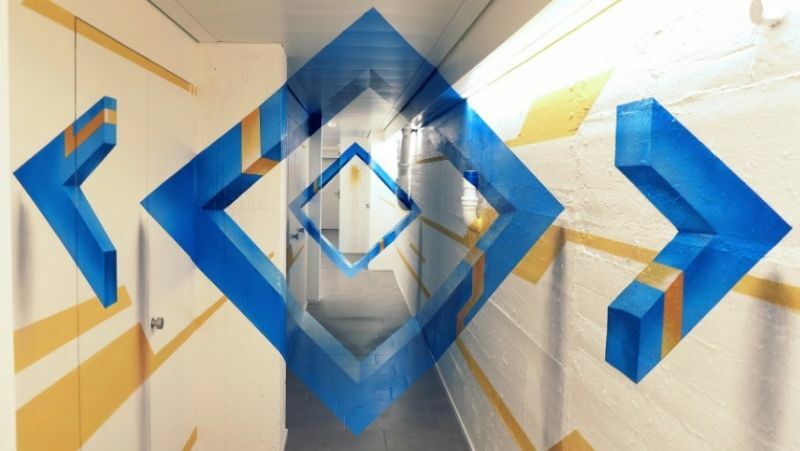 REDL’s dynamic 3D urban art adorns walls in Switzerland, Belgium, Italy, Egypt, Brazil and Hong Kong. 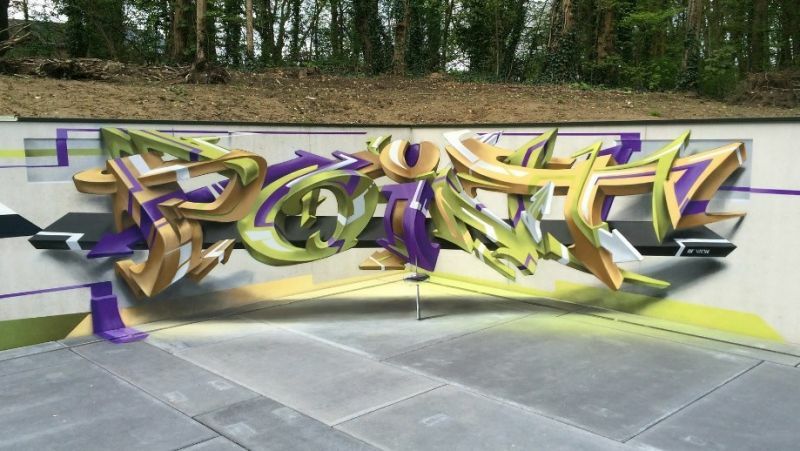 He splits his work into three themes, the first being one of the cornerstones of graffiti: lettering. The second is detailed, illustrative depictions of humans, often his own children. Thirdly, and aptly for the MKMTF, animals. 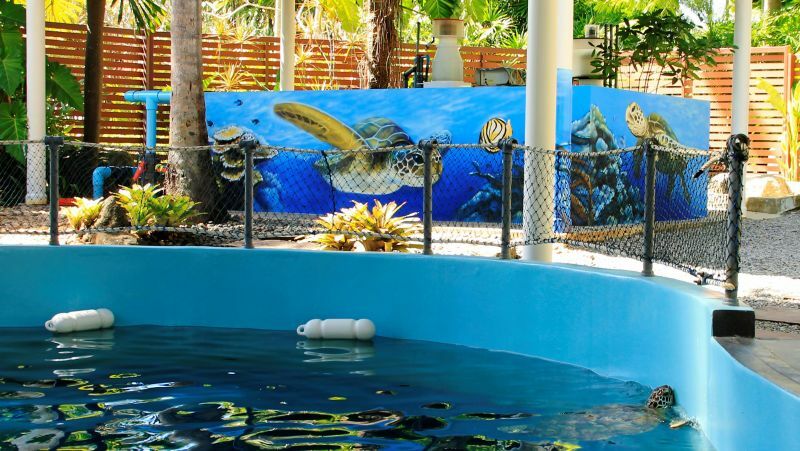 Although you’re more likely to come across facades of insects and land mam­mals, like lions and camels, in his portfo­lio, he appreciates the special beauty of the underwater world and is grateful for the opportunity to paint part of it. REDL’s work at the MKMTF is a dynamic, vibrant seascape of elkhorn corals, butterfly fish and larger-than-life sea turtles. It took eight hours of prepa­ration – sourcing images, combining them, scouring Bangkok for the correct paint – and 16 hours of painting. Graf­fiti art takes a great deal more work and is far more physically demanding than many of us might imagine, especially under a mask in the punishing Phuket heat. However, he’s happy to suffer both for his art and in the name of such a good cause. 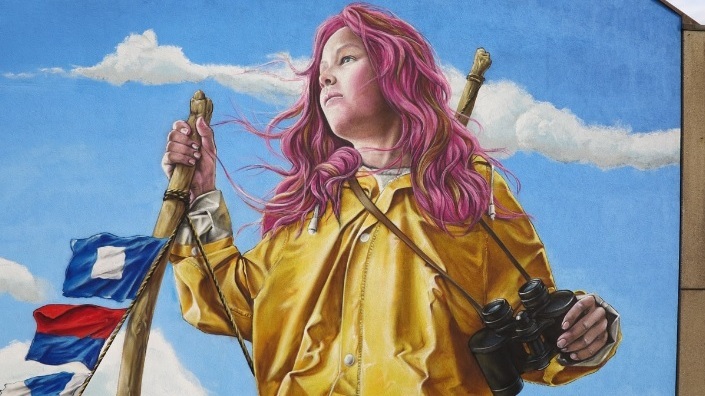 However, he thanks and respects Banksy for how his simple yet powerful works have shifted the public perception of urban art over the years, allowing him to forge an international career in a creative industry he loves. The MKMTF is open on weekdays from 9am to 3pm.